Lätzsch CB 900 Professional Cimbasso from Lätzsch Custom Brass on Vimeo. Arriving in The Netherlands in 2002 to work with the Radio Symphony Orchestra, Dave has since performed with virtually every major ensemble in the country including numerous engagements with the Royal Concertgebouw Orchestra, Concertgebouw Orchestra Brass, Asko|Schönberg, Radio Kamer Filharmonie, Doelen Ensemble, Radio Philharmonic Orchestra, Metropole Orchestra, Residentie Orchestra, as well as many international orchestras such as Zurich Opera Orchestra, Royal Flemish Philharmonic, Singapore Symphony, and the National Arts Centre Orchestra in Canada. 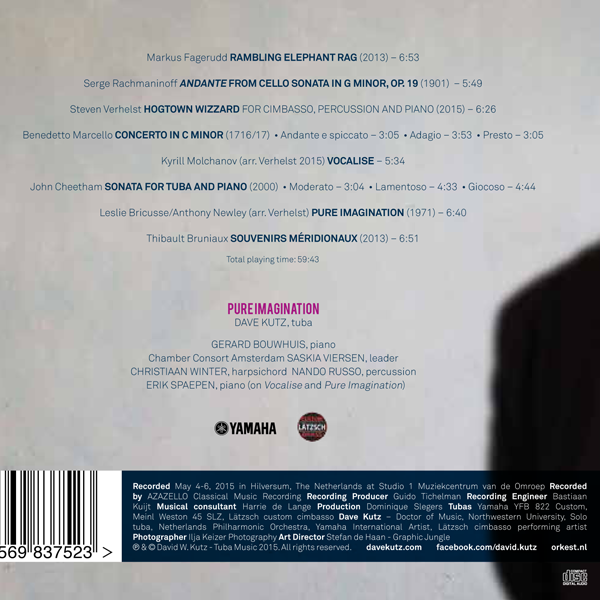 Through his extensive orchestral work he has collaborated with some of the best conductors of our time including Marc Albrecht, Edo de Waart, Jaap van Zweden, Mariss Jansons, Neeme Järvi, Reinbert de Leeuw, Yakov Kreizberg, Peter Eötvös, James MacMillan, Philippe Herreweghe, and Michael Schønwandt. Away from the orchestra, Dave is actively creating projects for the Netherlands Philharmonic Brass and Brass Quintet, and appearing as soloist when time permits. Dave has performed recitals on four continents and has been a guest artist at the International Tuba and Euphonium Conference, the Ottawa Chamber Music Festival and the Holland Festival in Amsterdam. Dave also performed in China, Australia, the United Kingdom, the United States (with the Royal Concertgebouw Orchestra), and in Brazil at the International Winter Festival at Campos do Jordaõ. An energetic and successful educator, Dave holds the title of Doctor of Music from Northwestern University in Chicago and has studied with Rex Martin, Gene Pokorny, Dennis Miller, Nicolas Atkinson, and the late Arnold Jacobs. Before moving to The Netherlands, Dave served on the music faculties of several universities in the United States and Canada; currently he is active as a teacher, ensemble coach and audition mentor throughout The Netherlands. 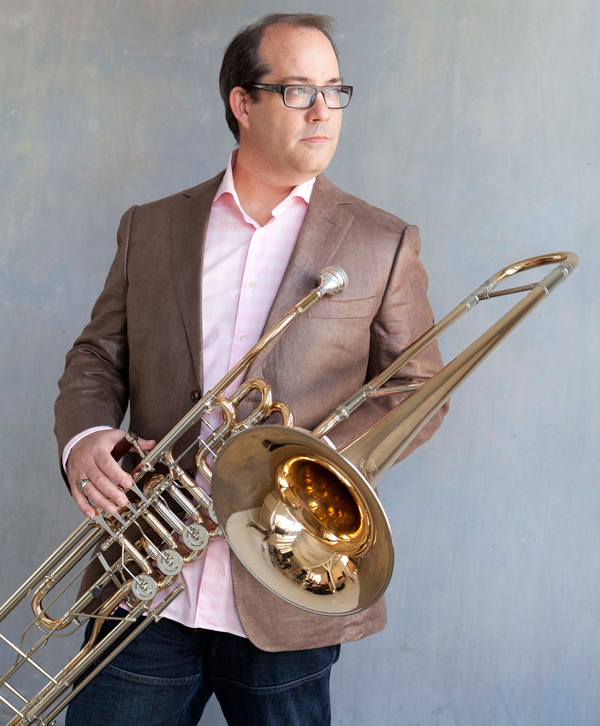 Dave is a Yamaha International Artist and Lätzsch Cimbasso performing artist. 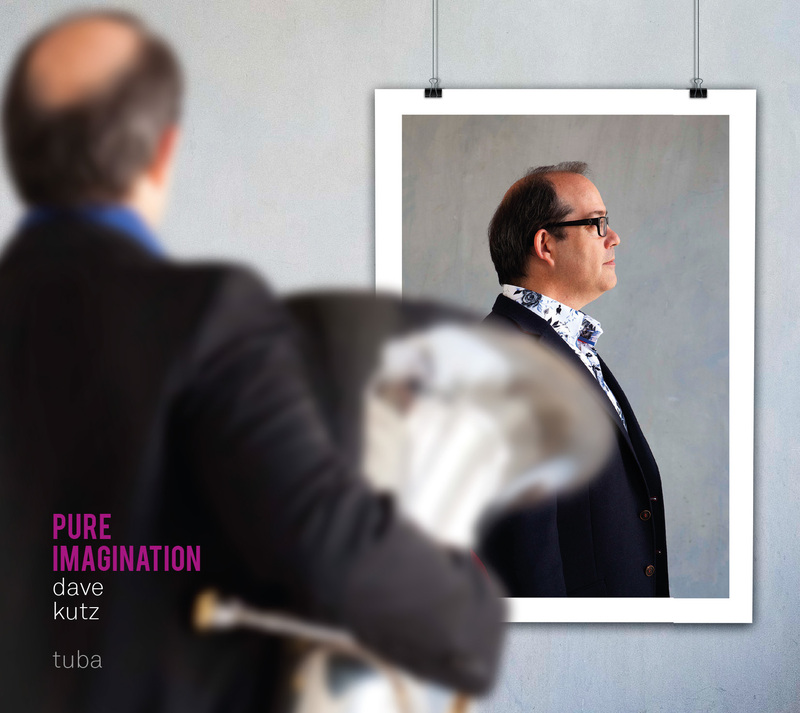 Pure Imagination is the debut CD for Canadian born tuba player Dave Kutz, the solo tuba with the Netherlands Philharmonic Orchestra in Amsterdam. Andante from Cello Sonata in g minor, Op. 19 Serge RachmaninoffWith its deeply touching and simple melody, the lyrical Andante from Rachmaninoff’s Sonata should be considered one of the greatest “love stories” ever written for two instruments. Rachmaninoff’s signature piano writing with its long broken arpeggios and full sound lends itself well to the collaboration with the power and tone of the tuba. Hogtown Wizzard was born from collaborations with Steven at the Netherlands Philharmonic Orchestra. “Hogtown” is the common nickname for the city of Toronto, my birth city, and the character of the composition recalled immediately images of my father working for the Canadian National Railway. Written for cimbasso, piano and percussion the work is challenging both sonically and rhythmically and will certainly remain one of my favorites. It is widely accepted that Alessandro Marcello had written the concerto in d minor and then Benedetto later adapted it into c minor. After ­Benedetto, Johann Sebastian Bach further added to its distinction transcribing it for harpsichord in BWV 974. The concerto is full of beauty, simplicity, and I dare to say, romance. Knowing that the lightness of sound and touch that the oboe naturally possesses would not come easily for such a large instrument as the tuba, it was a real pleasure to make the effort to communicate this work in my own way. Kyrill Molchanov was born in Moscow, USSR, on 7th September 1922. Molchanov’s favorite musical genre was opera (he was the son of an opera singer) but he also composed much instrumental music including works for ballet, chamber ensemble, symphony orchestra and the stage. In 1973 he was appointed director of the Bolshoi Theatre in Moscow. The Vocalise is simple and charming with a deep romanticism. During my two years working at the University of Missouri-Columbia, I had the privilege of working alongside John. We worked on various projects together that led to my request for the Sonata. It is a delightful piece for tuba that shows his genuine wit and sensitivity as a composer. “We are the music makers, and we are the dreamers of dreams…” This lovely ballad, taken from the film fantasy Charlie and the Chocolate Factory, and Jamie Cullum’s version, gave me so much inspiration for this project. Steven’s beautiful arrangement and the wonderful performance by Chamber Consort Amsterdam came together better than I could ever imagine. Born in the north of France, Thibault Bruniaux studied at the conservatories of Valenciennes and Lille and at the Conservatoire National Supérieur de Paris. Thibault explains the Souvenirs: “Ce sont vraiment des impressions de souvenirs de moments passés dans le sud de la France, entre moments fastes et instants de quiétude…” A wonderful composition with great energy from Thibault… Merci! !